This is kinda a must post entry to be made each year as we are reaching the end of Ramadhan. Same as the year before, it won’t be complete for some Raya cookies shopping for my mum. 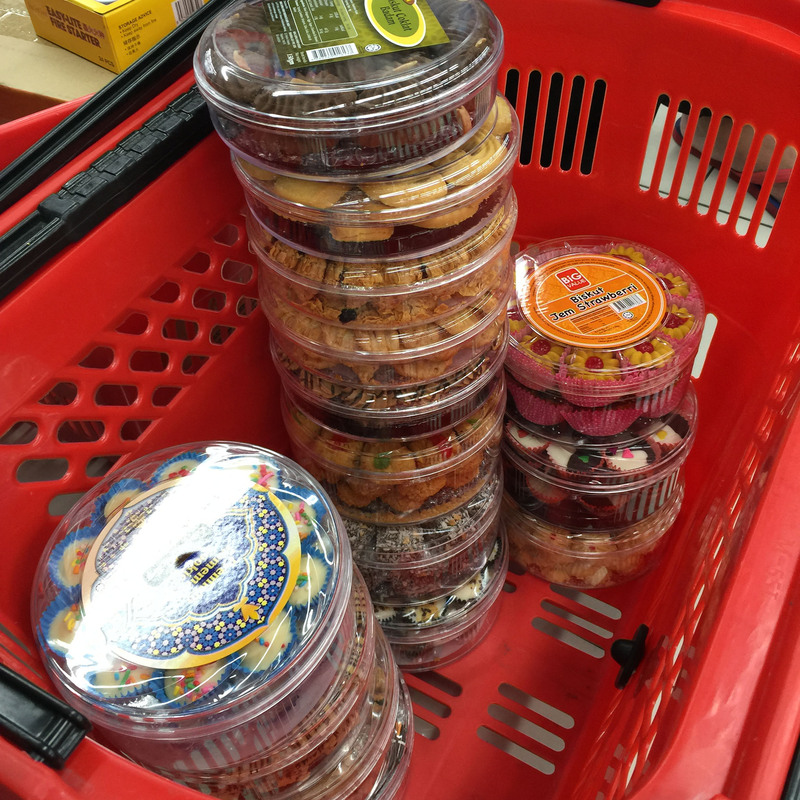 I was browsing through some Raya cookies at Jusco, and have selected some into the trolley. 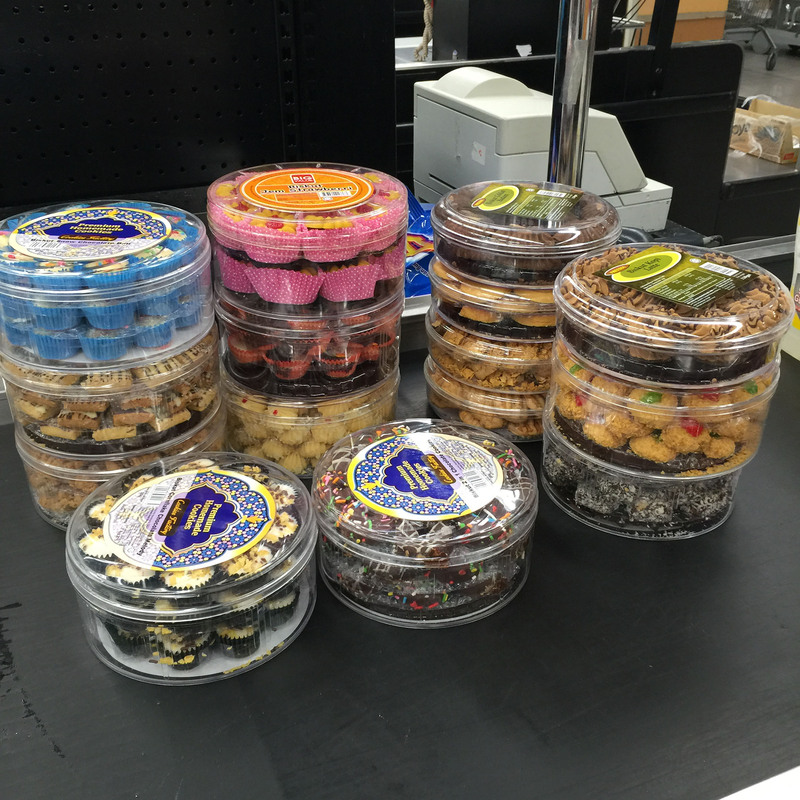 While continuing with selecting for more, one of the staff there said that she would like to give some suggestions. 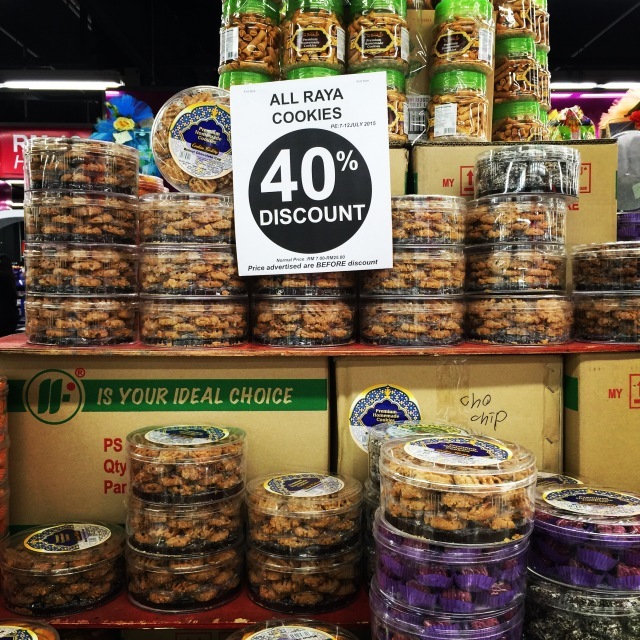 She said why not check at Carrefour (which just happened to be a few steps away) as she said that she heard someone talking about 40% discounts on all raya cookies there. Then I thought, why not? Let shop around first before I made the final purchase. Upon reaching Carrefour, there is indeed 40% discount on all Raya cookies there. Taking out the calculator, the price is ranging from as cheap as RM4.30 to RM6.50. What a bargain I must say. 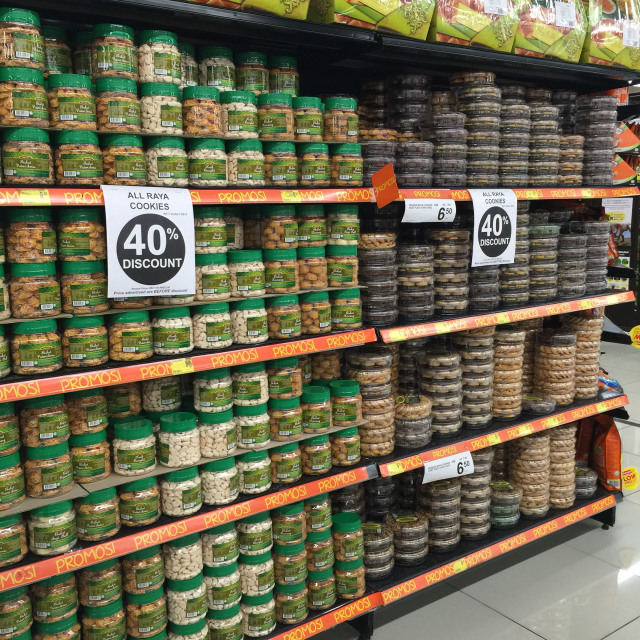 I am already putting aside RM100 as the budget for Raya cookies shopping this year. 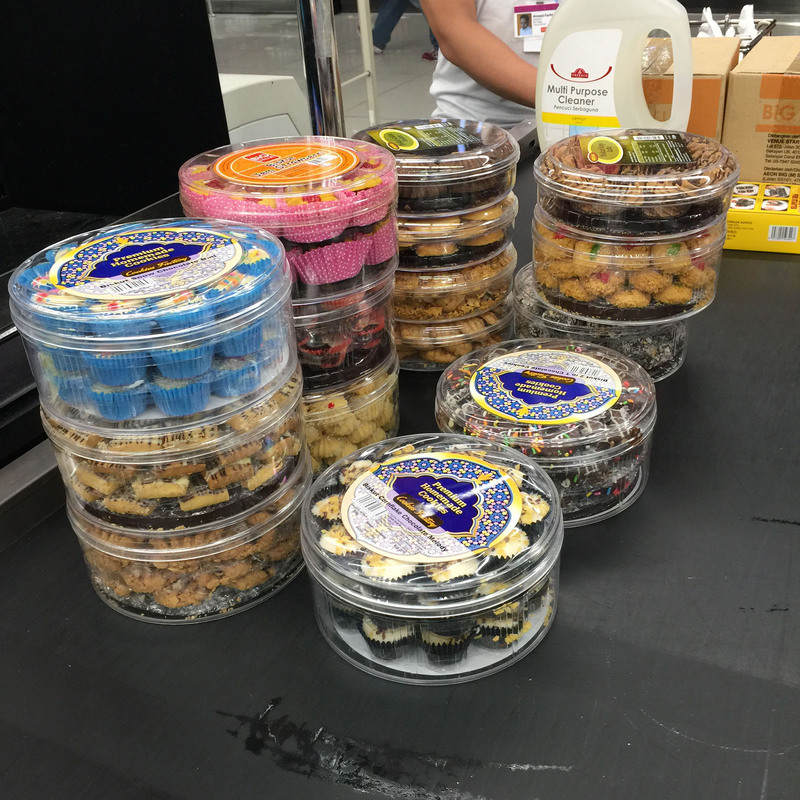 But with this price, I manage to get 15 Raya cookies with the total bill of RM89. I’m walking out of the Carrefour with a big smile. One last thing to settle before I’m going back for holiday is “duit raya”. 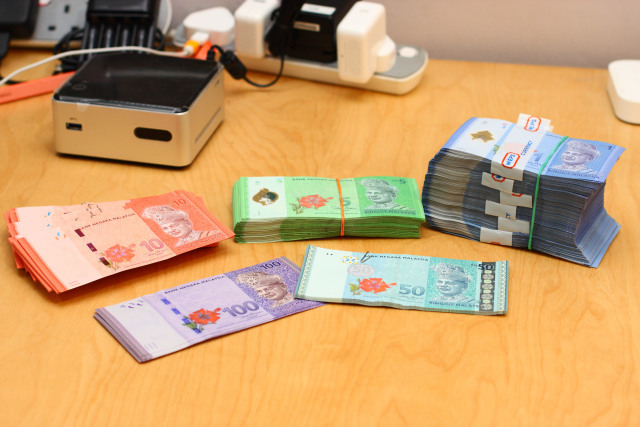 Starting 2013, banks started recycling old notes for those who which to exchange for fresh and crispy notes to be given as “duit raya”. 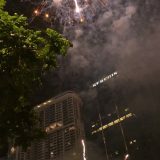 I have to admin that the tradition is not good for the environment, but the tradition has been around since I was a kid. Furthermore, with Ringgit Malaysia plummeting, I don’t think Bank Negara wishes to print excessive banknotes. 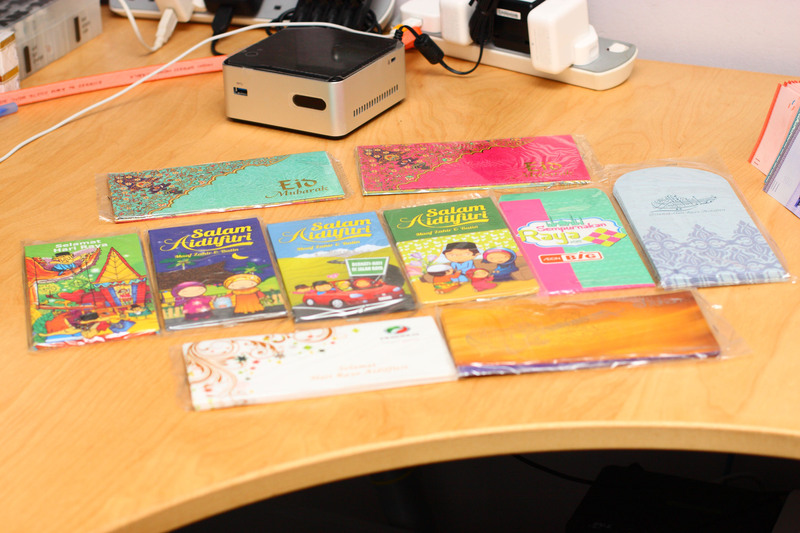 And lastly, collecting colorful Raya envelopes is part of the fun too. These are those that I managed to collect this year. Balik kampung memang sangat asyik dan menyenangkan.